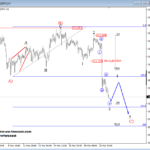 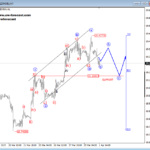 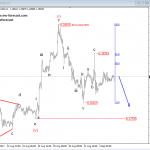 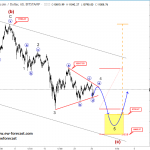 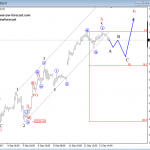 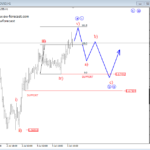 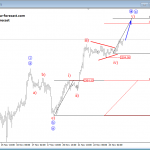 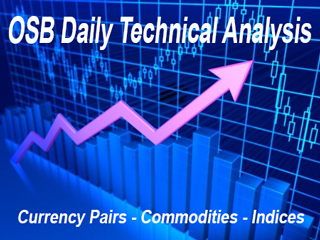 Cable remains in a complex downtrend, seen as a double zigzag in wave B) which is now retracing back to 1.2794-1.2860 area where we think that pair may look for a support this week. 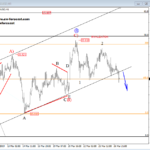 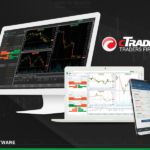 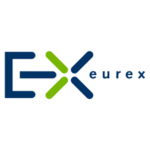 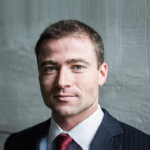 An impulsive reaction higher from there, and above the upper resistance line will be a strong indication that market is headed back above 1.3000. 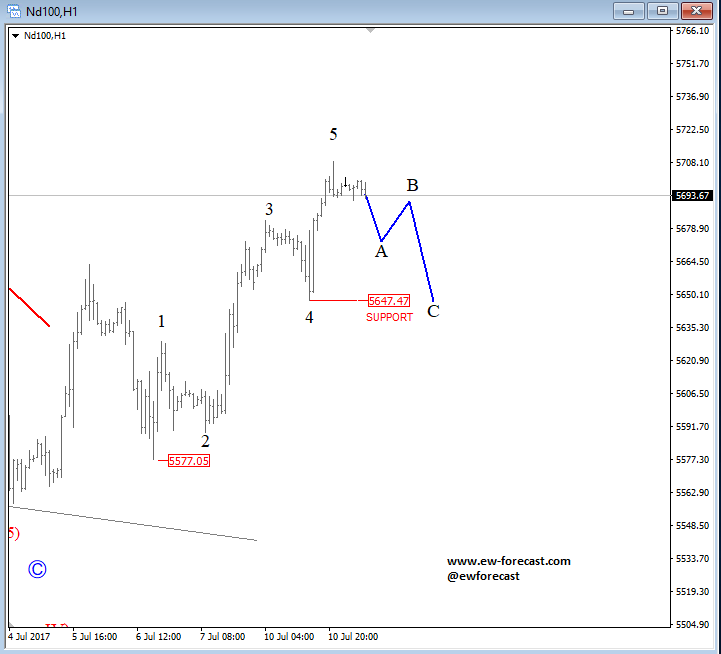 NASDAQ100 made a nice run since Friday but currently with a five wave move up from 5577 so we can expect a corrective set-back. 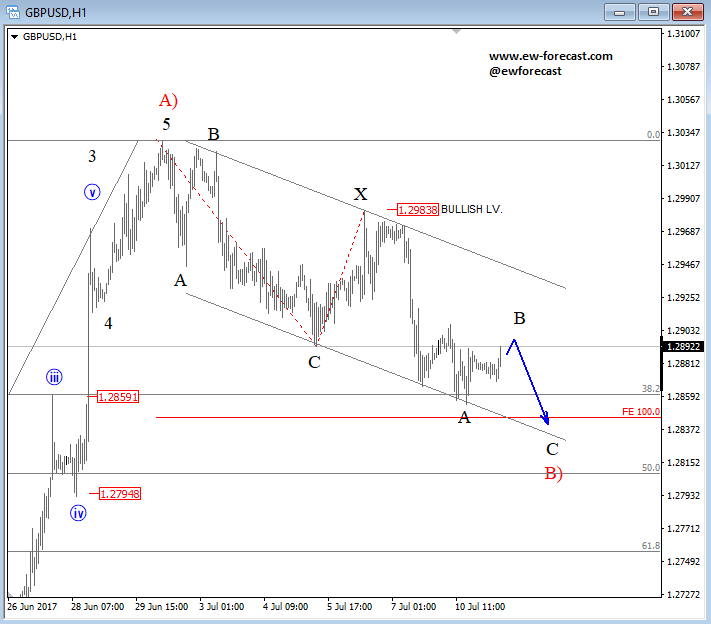 From a minimum expectation and based on guidelines there can be a three wave drop back to 5647 support area.